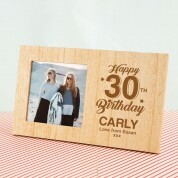 A unique gift idea for someone special on their 30th Birthday. Present it to them with a photograph to add a really personal touch. It will bring a smile to their face whenever they look at it. 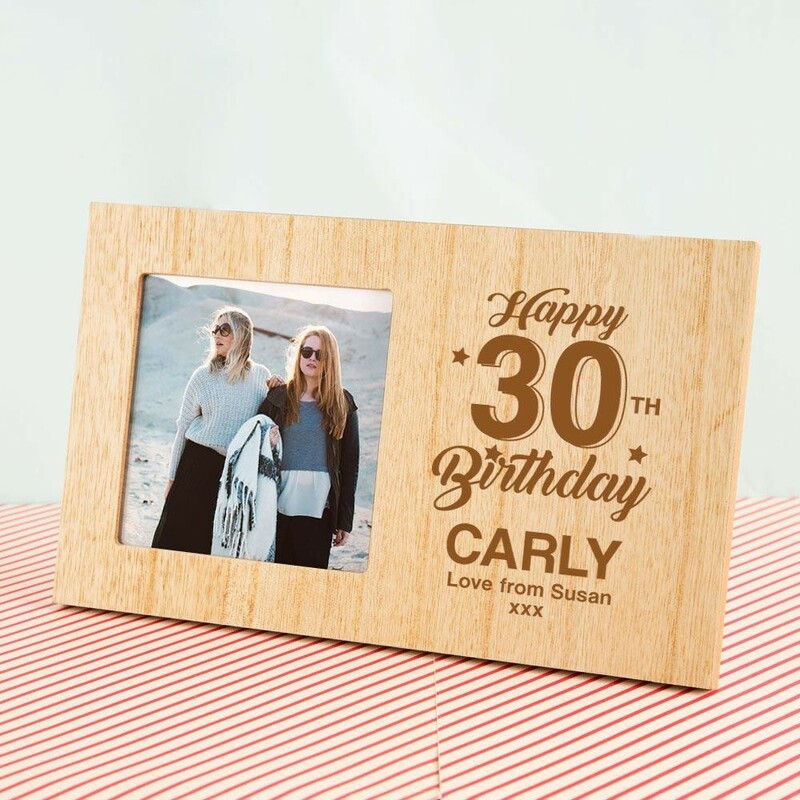 They will love to display this rustic themed frame for everyone to see and the stylish design will suit any décor. It is laser engraved with a modern, bold design. It simply reads “Happy 30th Birthday” followed by their name. There is even space for a short personal message of your choice, making this a really unique gift – they are sure to have nothing quite like it. The square window is perfect to display an Instagram photo in! Our professionals work in house to carefully engrave onto the wood for unique results every time.